Clothbound, 9.75 x 13 in. / 386 pgs / 320 color. Edited by Juan Carlos Pereda. Essays by Ramiro MartÃnez and Raquel Tibol. This bilingual (English-Spanish) catalogue raisonné of Rufino Tumayo's prints will reproduce in color every print--including xylographies, lithographies, silkscreens, artist's books and the late mixographies--ever made by the great Mexican artist. Tamayo made approximately 320 prints between 1925 and 1991. Many of them were made using different inks, and these ink colors are respected in the catalogue's printing; in several cases, the printing processes themselves will also be reproduced. Comprehensive and expert commentary is made on each print regarding print-run, workshop and publisher. This project has taken the Tamayo Museum and Foundation in Mexico City almost ten years of research to complete. FORMAT: Clothbound, 9.75 x 13 in. / 386 pgs / 320 color. 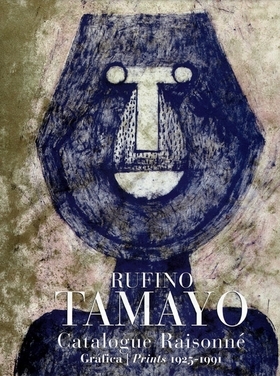 Published by Turner/Fundacion Rufino Tamayo.